With the advent of new technologies, it is no longer a surprise that your TV is capable of playing 3D content. You can now enjoy the latest in entertainment technology right in the comforts of your own home. 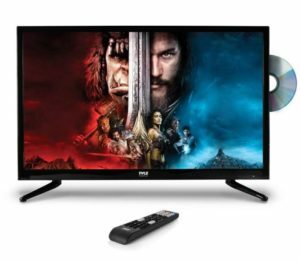 Here are three best LED 3D Smart TVs that you should check out in case you are in search of high-quality television for your home theater system. Isn’t it great to enjoy the same cinematic experience right on your couch? It is time for you to upgrade your equipment and get one of these 3DTVs. Experience 3D movies and content without having to drive yourself to the cinema and falling in line to get a ticket. This is your chance of having your 3D capable TV. The Sony line of 3DTVs is packed with features that allow you to enjoy your viewing experience and expand your entertainment. When it comes to the quality of 3D playback, Sony does a decent job on the 3D effect for background and mid-range objects. But, you can still see some glitches in the immediate foreground. With the Sony XBR-52HX909, you still get good picture quality even without the 3D effect. Also, the online content you can access with this TV is fantastic, and you will enjoy your TV! It is no surprise that Sony is a household name for high-tech features and wonderful design. The company launched 27 new models in April 2011 to boast, and the shining star among them all is the Sony XBR-HX929. With powerful features that deliver excellent image quality and outstanding audio, it is a 3D capable high-definition television that is equipped with a lot of other services for media and online content streaming. This is probably one of the best choices out there in the market today! I bought the Sony Bravia from a local Sony Store, and I have had the chance to check out its features. About its design, I like its panel as it is quite stylish. It has no dead pixels, and the picture is sharp and clear. There has also been no clouding so far. The daylight reflection from the windows is not as bad as that of my previous HDTV which is a Samsung Plasma. I am also impressed with its deep black and white contrast. It is much better than on other LCD televisions. It can connect to my WIFI network fast, and its integrated internet service also worked fine. I can stream my MPEG4 720p movies from my UNRAID Twonky media server to the Sony Bravia. I can pause, rewind or fast-forward the movie. All thant I could not do on my Samsung PN50B650. It is also a good thing that the ACR works well with my new Sony STR0DN1020 receiver. It has the 3D capability, but I haven’t tried watching a 3D film on it yet. I have tried converting a 2D Blu-Ray movie from my Sony BDP-S570 though, and it is quite good. You will be able to adjust the depth of the 3D content depending on your personal preference. The screen on the base though is not as stable as I had expected it to be. It is not an issue though as it does not bother me when I watch a film. There is also a crease which is about ¼ inch wide on the left side of the HDTV. I am not sure if this is because it was not handled correctly before I bought it. I will go to the Sony store to check if other models have it too or if there is an issue with the HDTV that I have at home. The incredible clarity of the images you see from this 3DTV is gonna make you feel like you are really in the scene itself. 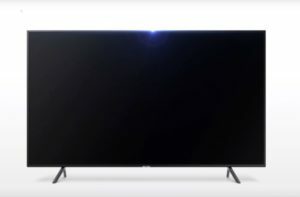 The technology used by Sony to achieve this kind of contrast in Bravia XBR-HX929 is their localized dimming which uses independently-controlled LED lights. These lights turn on and off at specific areas across the screen to give out the inky blacks and bright colors needed in the movie scene. When most slim sets depend on side lighting to achieve this effect, Sony begs to differ. When you need to tweak things, everything is easily accessible through the menu which is more like that you see from a Playstation, the Xross media bar. You can also use Apple iPad, iPod, and even Android Remote Control applications to be connected with your TV’s settings. There’s just a lot of ways for you to keep in touch with your Bravia and you can not even use the remote control that comes with it if you have the other gadgets mentioned above. Sony discloses that other new technical features have been added to their latest 3DTV lineup. Without a test or a demo, we cannot yet say improved the image quality would be with the new backlight technology. It is noted that this model’s backlight is synced with the LCD panel’s frequency to control the lighting even more. Nonetheless, you can use Skype with this TV, and it is also Internet-ready and compatible with active shutter glasses. When you are about to buy a 3D capable TV, you must look closely at the specifications. 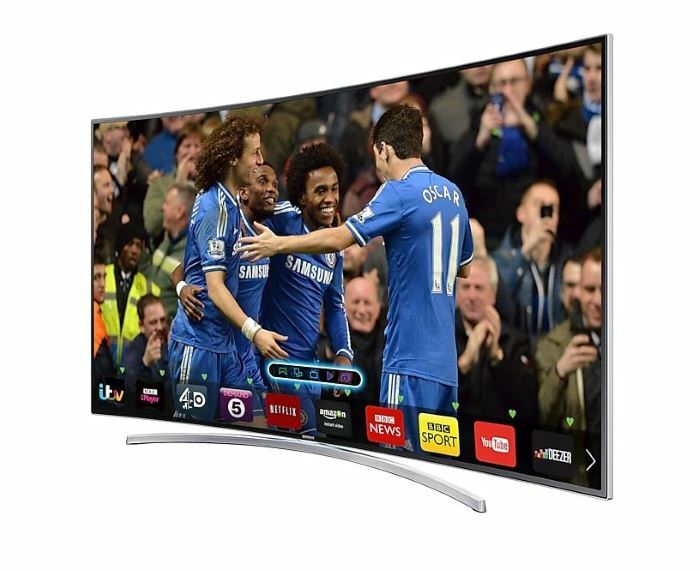 The Samsung UN55H7150 is a great TV that gives you excellent 3D effects. If you are looking to enjoy great 3D, then this Samsung LCD TV is the TV for you. With the shutter glasses on, you will find that it syncs up well with this TV compared to other sets. There is minimal flicker since the glasses are doing their job. So, if you want to see the latest 3D movie, this might be the TV to watch it in. Read on to find out about some specs that the Samsung 3D Capable TV has to offer. As expected from the line of HD TVs from Panasonic, this set will not fail to deliver good picture quality. Expect less flicker with the shutter glasses if you are watching your 3D content with the Panasonic TV. The glasses sync well with the television to give out fantastic picture quality coupled with excellent sound output. The 3D effect is not affected by high contrast areas or fast motion, so you get an enjoyable viewing experience and value for your money. One of the leading brands of the world, Toshiba has created a place in people’s hearts with their high quality and reasonably priced products. With more than 40 different models of Toshiba TVs to offer, online retailers like Amazon and BestBuy offer attractive prices on complete model range from 19 inches to 65. These TVs come in a wide range of prices and with a wide range of features. The prices start from as low as several hundred up to as high as several thousand, with the most expensive of these providing stunning graphics and sound quality, and built-in Wi-Fi. Now you can purchase a high-quality Toshiba TV set like Toshiba 55UX600U model within your budget, and remain worry-free. Toshiba always delivers products of incredible quality, since they also equip their cheapest and smallest TV with a 720p resolution and 60Hz refresh rate. 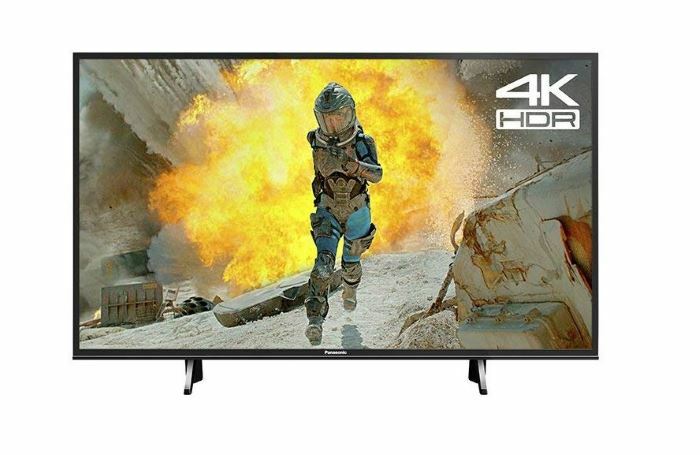 Upgrade your home theater now with this Toshiba 55UX600U HDTV. 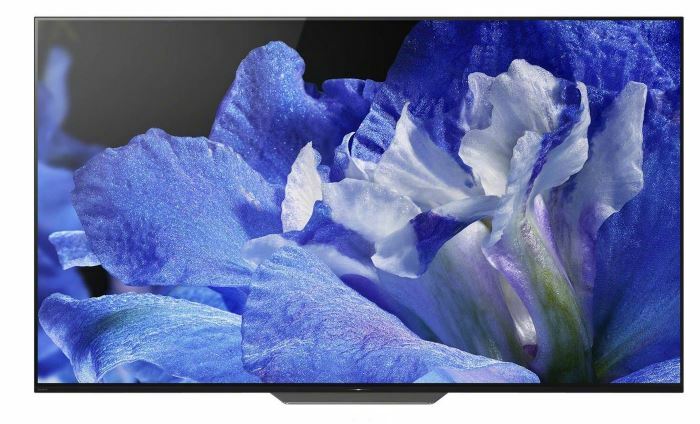 This is a great television form one of the best manufacturers of electronics in the world. Toshiba is a trusted brand when it comes to home electronics, and you will never go wrong with any product that is from this company. So, with the product releases swarming the market today, you have to choose over the different TV models. Think about the connectivity, features as well as online content that is available to you before you rush into buying an HDTV. If I were you, I’d look into Toshiba TV sets first, and you might find the best TV for your needs. What you got here is a television packed with powerful features made for your entertainment. As expected of Toshiba TVs, the 55-inch Toshiba 55UX600U offers vivid imagery and sound output as well as other features that make your overall experience an exhilarating one. 2 USB ports, HDMI connections, etc. Toshiba is known worldwide as the best producer of quality televisions. So it goes without saying that Toshiba 55UX600U is a TV that has managed to meet all expectations and even surpassed some. Along with all the features one could expect in television, this one also has internet support, meaning that the user can always stream content from video sites, such as YouTube or Pandora. In addition to that, customers greatly praised this model’s ability to display HD quality images without a glitch. At any angle, this LED TV shows the same resolution and color palette. At 1080p resolution, no image is cropped or shortened to compensate for better quality. Its thin stature has also received many compliments, because it saves space and doesn’t cause fitting issues, unlike bigger TVs, especially home theater versions. The settings to adjust the different aspects of the image are user-friendly, and it dramatically benefits in enhancing the viewing experience. Users have reported that they have faced no blurring, excellent black coloring, and fast performance. Customers have even deemed this TV to be environmentally friendly, due to it requiring a low amount of energy to function. Even on standby, it can be adjusted to consume minimum watts to save electricity. Automatic power off activates after 15 minutes of no signal, which is great for sleep time usage. Even though there have been problems with the center color changing at specific viewing angles, you get exactly what you deserve with the Toshiba 55UX600U, and truth to be told, you deserve the best. 43 inch TVs is one of the most popular screen sizes thanks to excellent price/performance. Flat-screen HD televisions are taking over the world. Thinner, lighter and larger TV screens have become consumer priorities these days. People value a broader view and more features in their TVs. Electronics vendors take that into consideration and answers all their demands. Flat screen TVs of various sizes are available, starting from 32 inch TVs to 70 inch TVs, but the most reasonable size that most people prefer these days are the 43-inch models. Popular brands like LG and VIZIO offer such TVs with a high definition picture quality within a reasonable price. Both VIZIO’s and LG’s 43 inches 1080p smart LED TVs can be purchased within $350- $600 online, with LG TVs being more expensive. 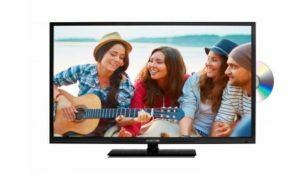 These 43″ TV sets have all received positive reviews and ratings from the customers and are not very heavy as they weigh less than 30 pounds. At the time of writing, Amazon had also offered free shipping for these products.